Piranha 3DD (Hindi), a Hindi movie, is not currently screening in Hyderabad. In this sequel to Piranha 3D, Lake Victoria has become defunct after the last piranha massacre. Maddy (Danielle Panabaker) returns home to find that her step-father is planning to re-open the water park. 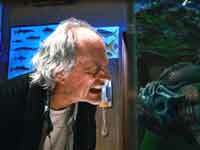 However, the piranhas are indeed back, and Maddy and her friends go to Goodman (Christopher Lloyd) for help. Once upon a time, there was an earthquake that caused the floor of a lake to split. 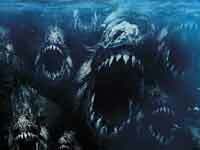 And through that seismic crack entered what was later identified as a group of prehistoric piranhas. All of that happened in the first movie, Piranha 3D, which went on to become a hit with its blood, violence, and skin show. 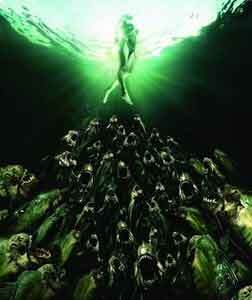 The heroes of that movie thought they had killed almost all the piranhas, but they were wrong. The dead fish were just the babies, and the parents were somewhere in the deep blue waters, awaiting their turn at cannibalism. fullhyd.com has 700,000+ monthly visits. Tell Hyderabad what you feel about Piranha 3DD (Hindi), and then also see all user reviews for Piranha 3DD (Hindi)!